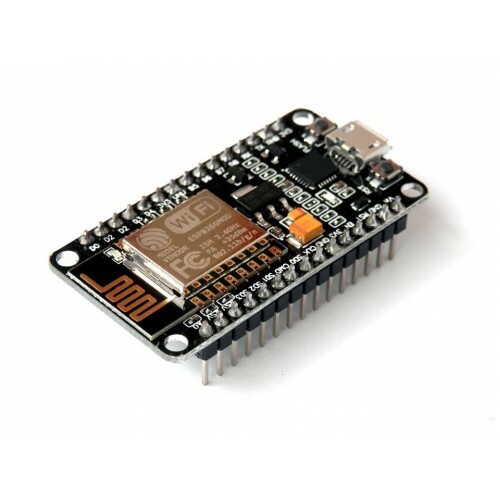 The NodeMCU with cp2102 Wifi Board is an all-in-one microcontroller + WiFi platform that is very easy to use to create projects with WiFi and IoT (Internet of Things) applications. The board is based on the highly popular ESP8266 WiFi Module chip with the ESP-12 SMD footprint. This WiFi development board already embeds in its board all the necessary components for the ESP8266 (ESP-12E) to program and uploade code. It has a built-in USB to serial chip upload codes, 3.3V regulator and logic level converter circuit so you can immediately upload codes and connect your circuits. This board contains the ESP-12E chip with a 4MB! flash memory so no worries for your long project codes! The ESP8266 NodeMCU with cp2102 development board - a true plug-and-play solution for inexpensive projects using WiFi. The module arrives pre-flashed with NodeMCU firmware so just install your USB driver. The NodeMCU is an open-source project and you can find all the design files and so on from their github page.This microcontroller board can easily be programmed using the Arduino IDE programming software. 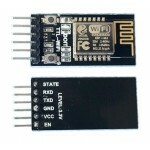 Has on board 3.3V regulator to ensure enough power to function as your go-to WiFi chip! ESP8266-12E Wi-Fi Wireless Transceiver ModuleESP-12E is an enhanced version ESP8266-12, improve the ..
A000133 Arduino Uno WiFi Development BoardThe Arduino Uno WiFi development board is the new Arduino ..
WeMos D1 mini V2.2WeMos D1 Mini WIFI Development Board ESP8266 are small, cheap, wifi ready micro-co..
DT-06 TTL Serial Port to WiFi ModuleDT-06 Transparent Serial to Wifi ModuleDT-06 Module is..